Silver birch now crowd the signalbox where once railway activity was abundant. 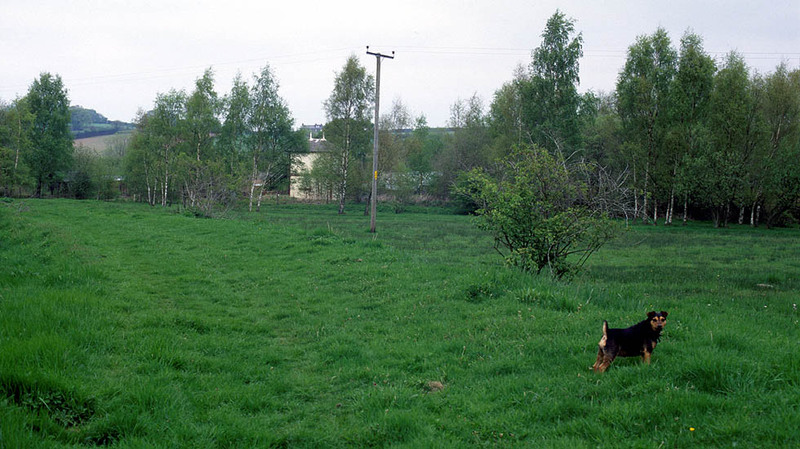 "Rosie" and I occupy the former trackbed into the works, now retaken by nature it can still be clearly discerned. Sadly "Rosie" passed away on 12th October 2009 - R.I.P. my lovely little friend.